I spend a lot of time weeding in March and April, partly because I have to clean up from the fall (we never do get all those maple leaves off the garden beds) and partly because the spring warmth and rain encourages weeds to take over like crazy. You have to get them out of the garden bed before the perennials wake up or you just have a tangled mess. The best time to pull weeds is when the soil is moist, after rain or in the morning. It is an easy thing to fit in for an hour at a time if you have all of your supplies ready. I wear old garden clothes and tennis shoes and literally pull the weeds with my hands. I love my Foxgloves gloves because they fit like a surgeon’s glove; they make it very easy to get down to the base of the weed and pull it out. Afterwards, I can rinse the dirt off with water from the hose, put them in the washing machine, and hang up to dry. I discard the weeds in the large cardboard boxes in which reams of copying paper are sold; we always have plenty at the office. These boxes and lids are very useful for lots of gardening chores and it is best to get the ones with the cut out openings at each end for handles. When the box is full, I dump the weeds in to my Fiskars Kangaroo, a very large collapsible gardening bag – much larger than a kitchen trash can. Lined with large plastic bags clipped on with binder clips, the Kangaroo is really useful for large cuttings of plants or large amounts of plants. I also use an old kneeling pad but this year, my daughter gave me a new one for my birthday. They are surprisingly expensive but in the spring you can get them at a much reduced price at dollar stores. For dandelions, I use a fish tail weeder. Mine is so old it is bent but still useful for digging them out the long tap roots of dandelions one. Dandelions in the grass don’t bother me but this past spring we had so many large dandelions in the garden beds I used another Fiskar product, Uproot Weed and Root Remover. All you have to do is position the four claws over the dandelion, step down on a lever and pull it out. There is a part of the handle that makes the claw retract so it lets the dandelion loose and it drops to the ground. You don’t have to kneel or bend. I let my son use it on all the dandelions in the garden beds and he loves it (Hint: get a cool tool and you have helpers!!). The good thing about weeding is that it is a no brainer activity. It lets your mind wander about life and the pursuit of happiness, more plants, more garden beds, and yes, more garden tools. So if you get interrupted three times by your kids, you are okay, you haven’t accidently whacked a new shrub or pulled out the radish instead of the hairy bittercress. 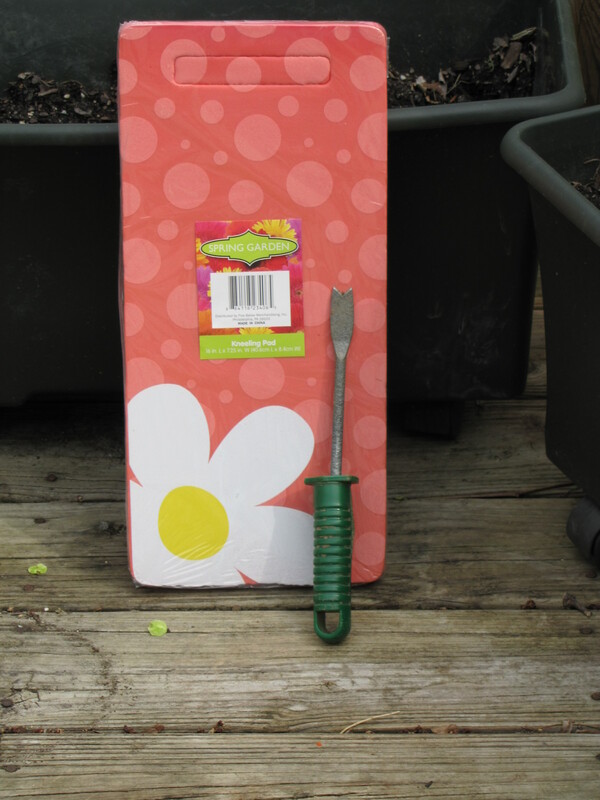 This entry was posted in Uncategorized and tagged dandelions, pegplant, weeding, weeds. Bookmark the permalink.